In the context of social movements in health, those most affected by health problems and social issues have been encouraged to organize in order to question and challenge the expertise exercised by health professionals and state officials. ... The idea of "health from below" suggests that with the threat of colonization and institutional control, women, people with disabilities, gay men and lesbians, and people with HIV/AIDS are collectively realizing the need to struggle for self-determination and control of their bodies and their lives. The objective of this book is to understand this history of activism and organizing ... .
James Gillett is an associate professor at McMaster University in Hamilton, Ontario, Canada. He is jointly appointed in the Sociology Department and the Department of Health, Aging and Society. 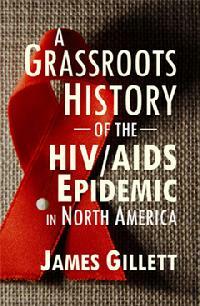 Dr. Gillett is a member of the McMaster HIV/AIDS Social Research Group.